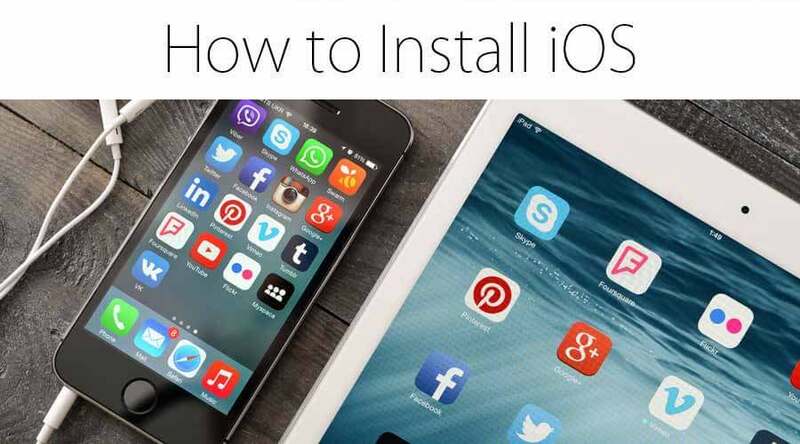 Home » Software Development » Blog » Installation of Software » How To Install iOS? iOS which was formerly known as iPhone OS is an operating system for cell phones which was developed by Apple, primarily for their hardware. This operating system has become the backbone of the company and features many devices such as iPad, iPhone or iPad Touch. It is the second most popular operating system for devices after android. This has been in the market for quite a long time now and is mainly popular because of the smooth and tidy interface with a comparatively stronger, secure and a more robust file system. The iOS user interface is based on direct manipulation by making use of multi-touch gestures. Those interface controlling elements consists of switches, sliders, and buttons. There are several other gesture features which provide the interaction by doing tap, swipe, pinch and reverse pinch. Major versions of iOS are released annually. Current version i.e. iOS 12 was released in September 2018. All the devices with the 64-bit processors, iPhone 5S + models, iPad Air, Pro, iPad mini and iPod touch can support this version of iOS. In this tutorial, we are going to read about the installation of iOS. 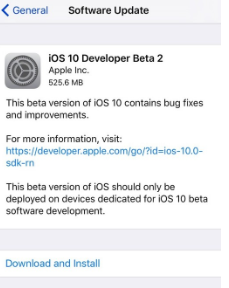 Step 1: If you wish to install the iOS version (stable or beta), you will need to visit Software Update on your iPhone or the iPad device. Step 2: Launch the settings option from home screen, tap on general and then tap on software update. Step 4: Enter the passcode. Step 5: Tap Agree to agree and continue. Step 6: Tap Agree again to confirm. Step 1: By making use of the configuration profile, you can choose to download it from the official Apple Website page. 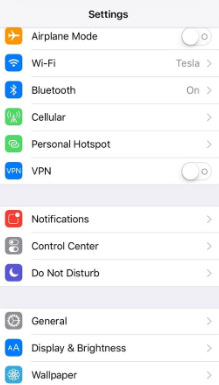 On the iOS device, the configuration profile can be downloaded directly and the installation instructions once followed can install it on to your device. On the mac or PC device, save the file on hard disk and email to the account on iPhone. The configuration profile in the mail should be tapped and upon following the instructions the installation can progress. Step 2: Connect the device you want to install into a power cord and connect to a Wifi. Step 4: Click on Download and install. Step 5: To update now, click on install. If you wish to install at some later point of time, you can choose to tap later and choose to install tonight or at some later point of time by tapping on Remind me later. The one thing which should be made sure is, always update once your cell phone is connected to the power cord as this process tends to consume enough battery to drain your device and provide an incomplete installation of operating system. Step 6: If prompted, you would need to enter the passcode. Step 1: Download the iOS software restore image specifically for your device from the Apple website’s official download page. Step 2: Ensure that you are running the latest version of iTunes on Mac. Step 3: Open iTunes on your Mac. Step 4: Connect iOS device to the computer with the cable which came along with the device. Step 5: If you have prompted for the device passcode or Trust the computer, follow the tips and steps which are present onscreen. In case if you do not remember your passcode, then choose for the options help. Step 6: Select the iOS device when the list appears on iTunes. Step 7: In the summary panel, hold the option key and click on the check for an update button. Step 8: Now, once you are through these steps, you can choose the iOS software to restore the image and click on open to start with the installation. Step 9: The device will ask for a reboot once the installation is completed and a network connection needs to be provided to complete activation. You can choose to install or update your iPad, iPhones or iPod devices to the latest version either wirelessly or by making use of iTunes. You should be automatically able to see the latest version update present. If not, you can update manually using iTunes. Before doing any such activity, ensure that a proper backup is already taken in place for your device by either using iCloud or iTunes. Step 1: Plug your device into a power cord and connect to power. Step 2: Connect to the internet with Wi-Fi. Step 4: Click on Download and install. 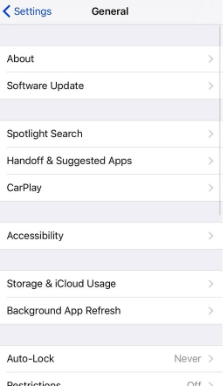 If you receive a prompt message asking whether you want to temporarily remove the applications because iOS needs more space for installation or update, then you can choose among Continue or Cancel. Later, iOS will reinstall the apps that were removed as a part of the installation procedure of the operating system. Step 5: If you choose to install or update now, tap install. Otherwise, tap later and you have the option to choose between install tonight or remind me later. Just make sure that whenever you do, plug in your iOS device with the power cord. Your device will automatically be updated or installed with the iOS version specified. Step 6: It might also prompt you to enter a passcode. Fill in the passcode else, skip this step.